People frequently ask me how I became a fashion lawyer. After all, parallels between law and fashion intuitively run in perpendicular directions. So, here's my story. 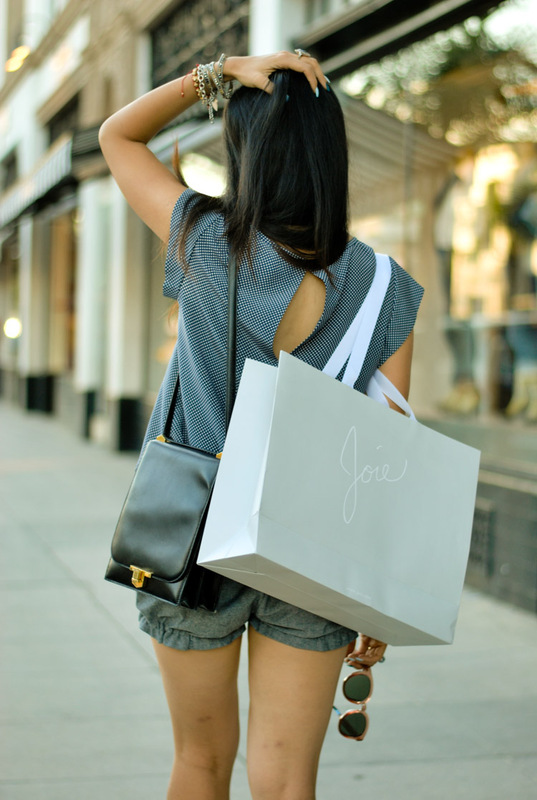 When I was in law school, I met a friend who was a designer at Joie. What a huge relationship coup! Although I obsessively followed fashion via blogs and magazines, I was always an outside observant, a Jane Goddall of fashion as my social circle orbited around aspiring lawyers, accountants, and doctors. I was knowledgeable about the fashion industry but I didn't know it. My designer friend and I would chat for hours about fashion trends, emerging designers, and the denim revolution. She was my very first link to a world I longed to be in but lacked the key to unlock the door. One day, she invited me to tour the Joie corporate headquarters. I had to miss part of my Business Law class but that's just penny pinching. At their Vernon office, I saw sketches, production samples, and a slew of fashionistas creating beautiful things. I was so excited to see the inner workings of a fashion company for the very first time yet a bit disappointed as it was a stark contrast from the pantsuit career I was embarking on. Before we left, my friend introduced me to an executive who casually mentioned that they were thinking of hiring an in-house counsel. Right then and there, the idea of being a lawyer working at a fashion company incepted into my mind. I could ditch the pantsuit and keep the law degree! Although I didn't end up becoming in-house counsel at Joie, I did host a Girl's Night Out party at their Pasadena store last week. Life evolves ever so unpredictably and fabulously! And you have beautiful legs! Love everything, but your shoes are killing me!! Yes, life is unpredictable. I fell into my practice specialty without trying (commercial litigation). Love your outfit here: the shorts are really cute. What an interesting story. Thanks for sharing. Your vintage Hermes is absolutely stunning! I love your story... so interesting and inspiring. It's funny how things work out, isn't it? What a cute and chic look!! Love your puffy shorts!! We love burgundy for autumn, and your lips are perfect! Love every piece. Super cute styling. What a cool way to find your career that fits you perfectly!! Those shoes are so eye-catching! The perfect pairing for a simple neutral outfit. Love this outfit! You have a great blog! Love all but 1st one is most.